It’s another big weekend in the Six Nations as Ireland hope to bounce back from their heartbreaking defeat to Wales with a win in the Stade de France at the weekend. Not an easy task with the French on a high following their win over Italy and the French players eager to impress new boss Philippe Saint-Andre. 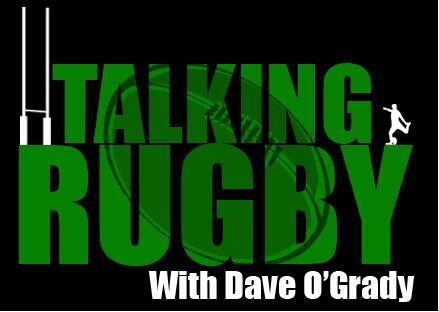 On the show this week, Dave is joined by Munster’s Alan, Leinster’s Doc and Daithí, our new pundit making his debut. Daithí brings the ‘French connection’ to the show and tells us how he only got into rugby through following it in France. 0.0 – 2.40: Introduction to Alan, Doc and Daithí, joining us from France. 2.40 – 16.51: Last gasp heartache for Ireland. 16.51 –25.05: Monkey off the back for England. 25.05 – 32.04: Malzieu warms up a cold Stade de France. 32.04 – 43.43: France v Ireland, Ireland in trouble? 43.43 – 49.00: Wales v Scotland, Cruise control for Wales? 49.00 – 58.30: Italy v England, Italy’s big chance? 58.30 – 1.00.00: Some bizarre French behaviour. 1.00.00 – End: Bet of the Week. Talking Rugby is by the fans, for the fans. If you would like to advertise, sponsor or simply get involved with the show, drop us an email to TheWorldsTalking@gmail.com. 1. We’re available on the iTunes Store directory, type in “Talking Rugby” into the search bar and you’ll find the show and be able to subscribe. The Six Nations is upon us and in this week’s show we comprehensively preview the opening games in this year’s installment in one of rugby’s oldest competitions. This week’s panel is the most varied yet, with Ireland, Scotland and England all represented. Talking Rugby regulars William and Pedro represent Ireland, Durham man Mike is back for his second show to talk England while new man Nigel joins from Scotland. 0:00 – Before the Six Nations preview, the show starts with William’s thoughts on Brian McLaughlin’s situation at Ulster, with the news that he is set to leave Ulster at the end of the season. 7:20 – We look ahead to Ireland vs Wales in Dublin. Declan Kidney has kept faith (aside from injury) with the players that appeared at the World Cup, is his selection too conservative? 21:30 – It’s a new era for England and with one of their most inexperienced Six Nations lineup they face a tricky trip to Scotland. The much maligned Dan Parks is starting at 10 for the Scots, how will we dictate how Scotland play? Nigel discusses the conservatism of Andy Robinson. 37:10 – Doc joins us to discuss the third game of the weekend. Two sides with new coaches, France host Italy at the Stade de France. Phillipe Saint-Andre has made a few interesting selections, picking a beefy bruising pack to tackle the inevitable physical challenge from the Italians. 46:00 – The panel talk about some of the current media stories and also some suggestions from the lads, including a Six Nations A tournament to be run in conjunction with the senior competition, plus the lads disagree on the introduction of bonus points into the Six Nations. 57:45 – We end the show with our Bet of the Week and Mike’s thoughts on Stuart Lancaster’s recent comment in the media. If you would like to be involved with the show, drop us an email to TheWorldsTalking@gmail.com. On this week’s show, Alan (Munster), William (Ulster) and Doc (Leinster) join Dave to try to get to the bottom of English Rugby Chief Mark McCafferty’s remarks that Aviva Premiership clubs have it harder than Rabo Direct Pro12 teams. This week, McCafferty suggested that a flawed European qualification system is the reason for the poor showing by English clubs in the Heineken Cup. The lads also discuss the Irish provinces performances in the recent Heineken Cup games. Connacht finally get the win! What’s wrong with English Rugby? We’re available on the iTunes Store directory, type in “Talking Rugby” into the search bar and you’ll find the show and be able to subscribe. Talking Rugby Ep 23 – He knows about bags, but not about tackles! It’s a big weekend in the Heineken Cup with Ulster being the major talking point. Dave is joined on show this by Ulster’s William, who is describing as being ‘in heaven’ at the moment. Munster’s Pedro and Leinster’s Doc also join Dave to talk about their provinces along with Declan Kidney’s selection for the 6 Nations. There was also a place for Mike from Durham, the first English man to be represented on Talking Rugby. 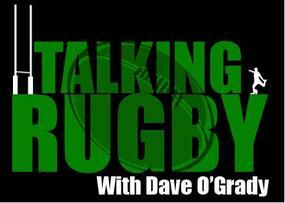 Dave chat’s to Mike about the new England setup and how he thinks they will do in the six nations. Talking Rugby with Dave O’Grady. On this week’s show, Alan, William and Doc join Dave to look back on how the Irish provinces fared in the Rabo Direct Pro 12 and look ahead to the weekends Heineken Cup games. The lads also discuss the latest rugby gossip in the media. 00:00 Ulster’s win over Edinburgh and their chances against the Leicester Tigers. 20:30 Another poor performance yet victory for Munster. Plus this weekend we preview their Heineken Cup clash with Castres, who will likely send a weakened side. 33:30 Leinster take a decent scalp in Cardiff over in Wales while Doc and William lambast the officiating including the TMO. Also Leinster face a tricky trip to Glasgow in the Heineken Cup to ensure qualification. 44:00 Connacht’s poor run continues with a truly awful performance away to Pro12 basement side Aironi. It certainly won’t get any easier as they travel to Toulouse next! The lads also look at the other games in Europe. 53:15 The lads discuss recent eye-catching media stories, including an international eligibility row, a misbehaving player and a misbehaving club owner! Talking Rugby Episode 21 – Makes Rugby look like Ballet! On the show this week, Ulster’s William, Leinster’s Doc and Munster’s Pedro join Dave for a very special extended show where they review the 2011 year of Rugby. The lads also share their report cards for Leinster, Munster and Ulster for 2012 and give predictions for all the major competitions. 1. Provinces performances in the RD Pro 12 games. 2. Upcoming RD Pro 12 games. 6. Bet of the week. William, Doc, Alan and Tadhg join Dave to discuss the interprovincial results in the Pro12. We talk Eddie O’Sullivan’s possible new job and Scott Johnson, who will leave the Ospreys to join Andy Robinson at Scotland. Our main issue this week surrounds the IRFU’s new regulations around Non Irish Eligible Players, rules that will be in place from the 2013/14 season. 0:00 – Leinster’s win over Ulster’s youngsters. William laments the Ulster selection policy that effectively conceded the game before a ball was kicked, but he praises the young lads’ resiliance. 11:30 – Bar a great send-off for John Hayes, Munster vs Connacht didn’t produce many memorable moments. We talk at length about Niall O’Connor and a certain Munster player that frustrates the life out of Alan! 18:40 – The lads take a look back on John Hayes’ fantastic career and how much we’ll miss the Munster & Ireland ‘ligind’. 27:15 – William and Doc look ahead to the 2nd week of the festive interpros: Ulster vs Munster & Connacht vs Leinster. 29:00 – Eddie O’Sullivan has been in the media saying he would like the Ospreys job. We discuss if he would be a good fit. 35:00 – Scott Johnson is leaving Ospreys at the end of the season to become an assistant coach with Scotland. However is this guy a spoofer? The discussion also moves to the state of the game in Scotland. 42:10 – Our main discussion this week revolves around the new ‘IRFU Player Contract Policy’. The various dictats and stipulations of the new regulation are dissected. William is passionately opposed to many aspects of the announced changes. – Will the provinces suffer, and should they suffer so that the national team can have more depth? – Connacht have been excluded from the changes, where does it leave them? – Will the rules be rigidly or loosely applied? – Can these rules show fairness towards all of Munster, Ulster and Leinster? 1:02:20 – We end the show with Doc and Alan’s thoughts on their preferred outright bets for next year. You can also subscribe to the show on iTunes.